All year round, your roof is constantly subject to the elements and this will often lead to faulty roofs requiring roof repair works, and you will want to find a local roofer who you can trust. That’s where Atlas Roofing Construction can help! It may be a leaking roof, slipped roof tiles or roof slates, roof flashing, gutter repair or roof waterproofing. Whatever the job is that you need, we have the experience and expertise to carry out the roofing job for you. Our team of local roofers at Atlas Roofing Construction are qualified for all types of repair, so get in touch today for your free estimate. John or one of the team will come over and meet you in person to inspect your roof, and we always offer our customers a clear and transparent roofing cost. We provide all the right roofing materials, roofing tools, scaffolding and have experience repairing any roof, whether it’s a flat roof repair, pitched roof or any other. Whatever the type of roof repair service you require, it’s always best to go through a reliable local roofer who you know you can trust. Atlas Roofing Construction has been carrying out roof repair, new roof builds and a host of roofing services in Surrey and London for the past 30 years. We are proud members of the NFRC (National Federation of Roofing Contractors), and a trusted Which.co.uk trader. Using an NFRC member contractor to carry out the work will give you the peace of mind that you are appointing a quality roofing contractor. 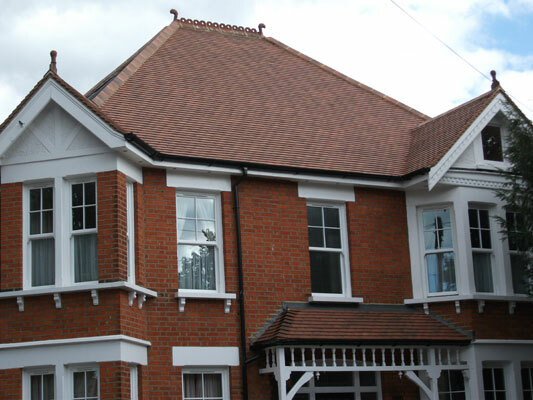 Do get in touch if you’re looking for an experienced roofer in Surrey or London!